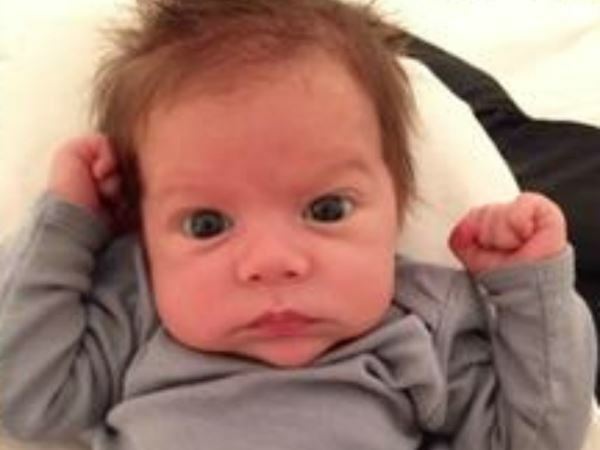 Shakira has shared a new picture of baby son Sasha. The singer and her soccer player partner Gerard Piqué welcomed their little boy into their lives on January 29. And to mark Spain’s Father’s Day on March 19th, Shakira posted an adorable shot of little Sasha. Sasha is Shakira and Gerard’s second child together. They are also parents to two-year-old Milan. The image on the World Baby Shower with UNICEF webpage sees baby Sasha, who has a full head of hair, being cradled in someone’s hand while donning a white infant outfit. A separate photo of Gerard and Shakira together while she was pregnant is also featured on the site. Shakira (38) and 28-year-old Gerard are known for their philanthropic efforts and founded the World Baby Shower initiative after the birth of their first son Milan in 2013. In her February 5 post, Shakira clarified what fans can do to make a difference in other children’s lives. “This is more than a shower, it's a global movement to save lives. You can be part of it by buying a UNICEF Inspired Gift,” text reads on the website.